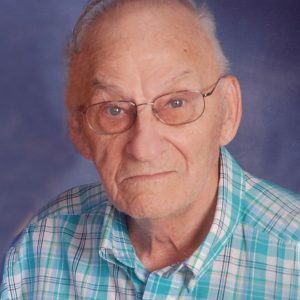 Bernard “Ben” Ertl of Litchfield died Thursday, March 28, 2019, at the Meeker Manor Rehabilitation Center in Litchfield. He was 96. Mass of Christian Burial was held at 10:30 a.m. Thursday, April 4, at St. Philip Catholic Church in Litchfield with Fr. Jeff Horejsi officiating. Burial was in Calvary Cemetery in Litchfield. Visitation was from 4-8 p.m. Wednesday and one hour prior to Mass, both at the church. Parish prayers were at 5:30 p.m. Wednesday at the church followed by Knights of Columbus rosary at 7:30 p.m.
Bernard “Ben” Nickolas Ertl was born April 9, 1922, in Watkins to Theodore and Katharine (Heinrichs) Ertl. He grew up and received his education at District 44 school in rural Watkins. On Sept. 14, 1950, Ben was united in marriage to Marion “June” Fisher at St. Gertrude Catholic Church in Forest City; they resided in Litchfield. Ben worked at the Woolen Mills for a short time; he was then employed at Dahl Tire for 32 years. After retirement, Ben worked as a custodian at Litchfield High School for 16 years. Ben was a member of St. Philip Catholic Church and the Knights of Columbus. His hobbies included woodworking. Ben was preceded in death by his parents; brothers Anthony, Mathias, Joseph, and Esadore Ertl; sisters Alvina Ertl and Elizabeth Zumach. He is survived by Marion Ertl, his wife of 68 years, of Litchfield; children Loretta Ertl of St. Cloud, Vince (and Debbie) Ertl of Marshall, Vern Ertl of Alachua, Fla., Erv (and Kathy) Ertl of Apple Valley, Greg Ertl of Minneapolis, Jeff (and Denise) Ertl of Cokato; five granddaughters, one grandson, three step-grandsons, and five step-great-grandchildren; and special friend Mary Stenger of St. Cloud. 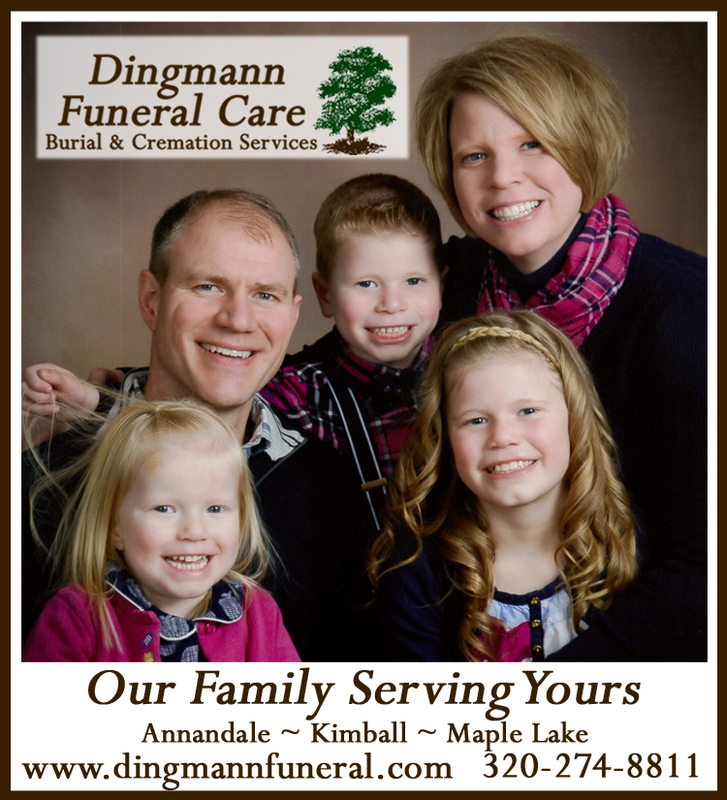 Arrangements were by Johnson-Hagglund Funeral and Cremation Service. The family would like to thank the nurses and staff at Meeker Memorial Hospital, Meeker Manor Rehabilitation Center, and Dr. Richard Searl for the excellent care given to Ben.